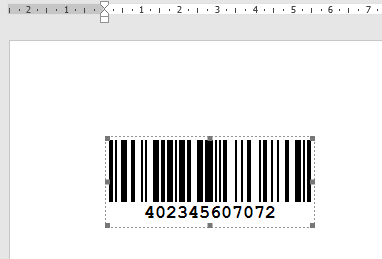 In this example we show you how to use the Word Add-In to include a barcode in a document. 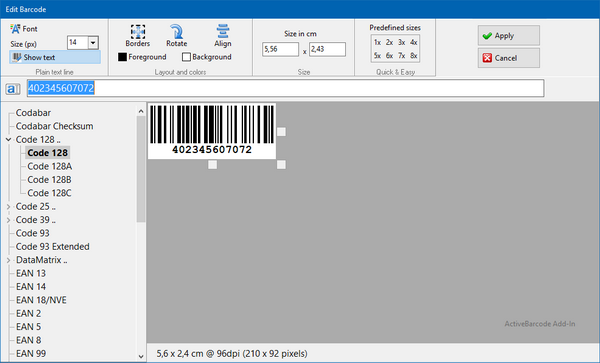 Enter the text to be encoded here and select a barcode symbology from the list of barcode types. For example, you can select one of the following types: QR Code, GS1/EAN-128, Data Matrix, GTIN/EAN-13, Code 39, GS1-Data Matrix, Code 128, PDF417, DUN-14, EAN-8, EAN-14, EAN-18, ISBN, ITF-14, NVE, PZN8, SCC-14, SSCC-18, ... and others.